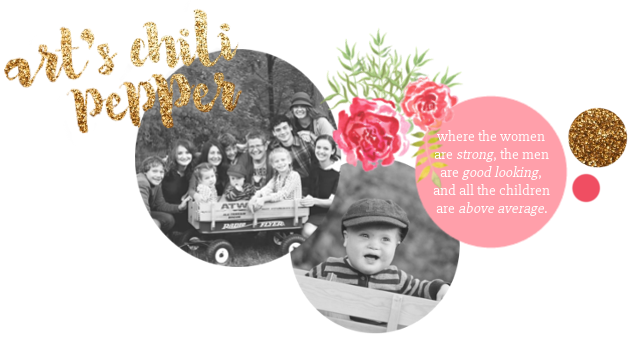 This is part of a series to answer reader questions and help friends become better acquainted with Art's Chili Pepper. To read previous posts click the links below. Michaela: If you had the opportunity to eat at a restaurant of your choice, what would you order? My husband loves to eat out. I much prefer to eat in. But we do eat out quite often... nearly once a week and sometimes more. We eat late and there aren't many places open after 8 or 9 that don't serve your food in a paper bag. LoL. We have a Bonefish Grill, though and they serve until 11 so that has become our place of choice. We go there so frequently, all the employees, even many of the kitchen staff, have come to know us. If we don't go one week they want to know where we've been. When I was first pregnant with Carmella I couldn't eat for about three months because I was so sick. We didn't go there for all that time. When we went back the Manager came over to our table and said, "Where have you been? We were afraid we offended you somehow!" Going there, I imagine, is as close to the personal style you might find in a small family restaurant in Italy. My husband always has the Salmon. Which is delicious and cooked to perfection. I often have the Ahi (Sushi) Tuna which is the best I have ever had anywhere. But I also like crab cakes, fish tacos, ceviche.... and they make some great salads and a Jasmine rice that is worth the meal on its own. Readers, do you prefer to eat out or in? Where do you go? What do you order? If I came to visit in your town, what restaurant would I have to try?